Today is the first Sunday of the Season of Advent. 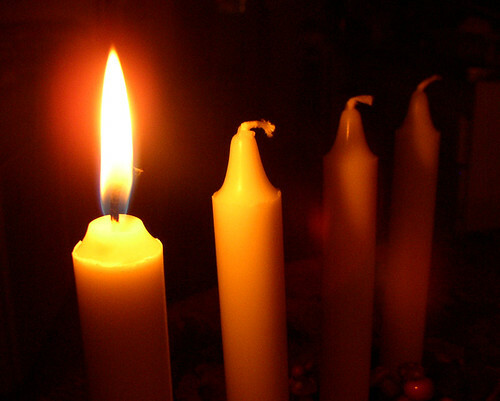 We often talk about Advent as the season of preparation. We are called to prepare our hearts for the coming of Christ and God’s reign here on Earth. We hear this invitation to prepare in today’s readings. We hear Isaiah’s vision of a future when all the peoples of all the nations will gather to house of the Lord and “shall beat their swords into plowshares and their spears into pruning hooks.” And to prepare for this, the prophet calls: “O house of Jacob, come, let us walk in the light of the Lord!” Paul tells us that our salvation is near at hand and therefore we must “conduct ourselves properly.” Jesus tells his disciples to be prepared even as they live their ordinary lives in the fields and at their millstones. If preparation is one side of the Advent coin, the other side is the seemingly more passive experience of waiting. In our fast-paced culture that values production, efficiency, and instant gratification, we have developed a widespread allergy to waiting. We’re inundated with advertisements plastered on billboards and flashed on the TV screen urging us into a panicked frenzy. “Hurry up!” “Don’t wait!” “These deals won’t last long!” In the age of fast food, digital cameras, high-speed Internet, instant online access to the newest books and television shows, and the luxury of overnight shipping, we are literally losing our patience. Yet our lives are still full of waiting. We wait to be seated. We wait for phone calls and emails to be returned. We “hurry up and wait” for buses, trains, and airplanes. We wait “until we’re old enough.” We wait for “true love.” We wait for our “ships to come in.” We wait for morning. We wait for evening. We wait for forgiveness. We wait to forgive. We wait for spring. We wait for healing. We wait for birth. We wait for death. We wait for resurrection. I don’t know about you, but I’ve wasted countless hours of precious time on mind-numbing entertainment, distracting myself out of potential experiences of transcendent self-reflection. I’ve waited in lines impatiently and selfishly, closed off to others, unable to see their needs. I’ve been left feeling disappointed and despondent as I’ve waited for fantasies to come true causing me to miss the Spirit’s gentle nudge back into the real graces already present in my life. Each year, I eagerly welcome the season of Advent to contemplatively prepare for Christmas. I start out with such good intentions. This Advent I will slow down. I will not succumb to the consumerist pressures of the crazed holiday season. I will stop and notice others. I will be generous. I will simplify. I will be patient. I will not scream when someone takes the last parking spot. I will not exert my pent up anxiety and aggression on an innocent airlines employee because my flight is late or cancelled (I’m still doing penance for an ugly blow-up circa 2009). I will keep things in perspective as end-of-the-year deadlines fall all around me. I will say no to some of the holiday party invitations. I will make time to be present to God. I will. I will. I will. So I suppose I could say that Advent is my favorite liturgical season in theory. But this is not always evident in my practice of Advent. Ironically, it is usually during this season of contemplation and silence when I feel the most frenzied and rushed—unable to slow down and allow my heart to be opened to the needs of others. Advent invites us first to notice our impatient tendencies and to then consider how to cultivate intentional practices of waiting in our daily lives–practices that help expose and transform our self-centeredness. Cultivating these practices of waiting encourages us to slow down and to help open our eyes and hearts to the poor and vulnerable who are so desperately waiting for even their most basic needs to be met. Practices of waiting help us reorder our priorities, replacing the frenzy of the holiday season with the urgency of the Good News. Through cultivating practices of waiting, we prepare our bodies, hearts, and minds, to experience the incarnation of Christ in our everyday lives.